Lawmakers have come together to pass a bipartisan, balanced budget for the State of Illinois, according to State Representative Avery Bourne (R-Raymond). The Senate approved the budget Wednesday and the House passed the budget today. This Fiscal Year 2019 budget is a balanced, full-year budget that relies on no new tax increases and meets the May 31st deadline, ensuring timely enactment on July 1, 2018. Funding for MAP Grants along with a new 4-year MAP Grant commitment that will give predictability to students who rely on them. 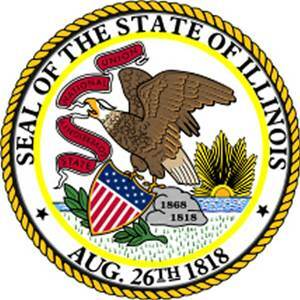 Increased funding for Soil & Water Conservation Districts, County Fairs, and for deferred maintenance at Illinois State Facilities and at the Illinois State Fairgrounds. “This budget isn’t perfect. There are items in this budget that make it difficult to support. But, this is a good bipartisan compromise to get state government working again. There’s still more work to be done before our state is back on a strong fiscal footing. That will only come through continued balanced budgets and reforms that will grow our economy and restore public trust in state government. Overall, this is a truly bipartisan budget that’s good for the state and for our district.” said Rep. Bourne.